I have recently started relying upon my glasses a little more. My prescription is pretty small and I have only noticed in the past year or so, after I hit 40. I usually choose the same type of rectangular frame and my prescription hasn’t changed in the past 2 years. Just look at my collection – other than the difference in color, basically the same shape. I usually wear my glasses for about an hour or two a week. Not too often in the past, but, lately, more than that. My usual go-to pair was this pair of Ray Ban above or the Fendi below. Same rectangular shape. So, our clinic is upgrading our lenses to the new Zeiss lens and I chose a new pair of glasses to go with the new lens. I got the pair back and it was SO clear. Like viewing in HDTV clear when I had been watching an old cathode ray tube TV. I loved them. Then I decided I was tired of getting the same shape frame over and over, so I decided to try something totally different – round. And, when those glasses came back a week later, I just didn’t like my vision in them. Are you switching back and forth between your two different pairs? Well, yeah, of course. Turns, out that’s the wrong thing to do. Being a newbie to wearing glasses, I had not given myself time to adapt to the new frame, so I asked our optician to give some advice about adapting to new lenses. Hi, I’m the Optician for Honolulu Eye Clinic. So you’ve finished the eye exam, and for the first time in your life, the doctor says you need to wear prescription eye glasses. You’ve never worn glasses before so you talk about lens options with the local optician, select a gorgeous new frame and finalize the order details. The optician calls you two weeks later when the glasses are ready. You try them on and your eyes widen in awe as you look around and suddenly see everything in sharp detail and crystal clarity. But after a few seconds of looking around, you start to feel a little funny. Objects almost look too sharp and after looking around and around through the lenses, you start to feel a little dizzy and feel a headache coming on. You look up at the optician in alarm and say, I cant wear these!!! This is a NORMAL experience, referred to as the adaptation period. Nearly all first-time glasses wearers experience initial dizziness and a sort of “off-balance” feeling. This is the time when the brain needs a chance to get adjusted to what the eyes are now seeing in crystal clarity. This is very common, and sometimes it takes a few minutes, a few days, or even a few weeks, before you can fully enjoy your new glasses. So don’t be discouraged! Take breaks when you experience dizziness, but do your best to put them back on and wear them as much as you can. WEAR YOUR GLASSES. This seems like a no-brainer, but wearing the glasses every day for one or two weeks will give you the best chance at getting used to the new prescription. If dizziness or the “off-balance” feeling is the issue, practice wearing them in a safe environment, such as when you get home and are doing chores or watching TV. Be extra careful if you are wearing them while driving and walking down flights of stairs. KEEP YOUR HEAD MOVEMENTS NATURAL. Often times, first time wearers stop moving their head as they normally would and move their eyes only. Let your eyes and head work together, turning your head towards something you want to look at rather than just moving your eyes. This will usually help to reduce headaches and dizziness. CLEAN YOUR LENSES. Smudges on the lenses are distracting to anyone wearing glasses, but especially to a first-time wearer who is adjusting to a new prescription. Keep your lenses clean with a small drop of liquid soap and water, and wipe the lenses dry with your Honolulu Eye Clinic microfiber cleaning cloth. Even patients who have been wearing glasses for years can go through an adaptation period. Changes in prescription, slight changes in the inner curves of the lens, or even changing into a different frame style can create the need for an adaptation period. If this happens to you, TRY NOT TO WEAR YOUR OLD GLASSES. Resist the urge to switch to an older pair during the adaptation period. We understand that you may feel more comfortable wearing the old prescription, but wearing the old glasses will not give you a chance to adjust to the new pair. Even switching back and forth from old to new can prolong the adaptation period. Wearing your glasses full-time for one or two weeks is typically the best way to adapt to your new prescription, however, if after that time you still experience headaches and dizziness, call your eye doctor to schedule an appointment. 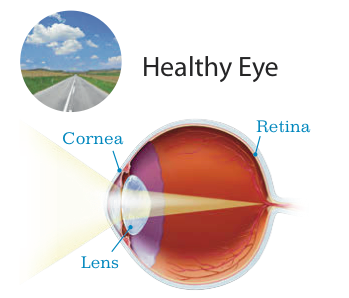 It may be possible that a correction to your lenses or the prescription may need to be made. I see a lot of styes in my practice as a pediatric ophthalmologist. Adults and kids get them and they can be slightly painful, tender and look terrible. Most patients are concerned that styes are an infection (which they are not) and want quick treatment for them. Usually our adult patients come in for an appointment, having researched online (I admit it, I consult Dr. Google as well), and want the stye cut out. Sometimes, that’s not am immediate option. A stye is a term that people use to describe two different medical conditions interchangeably. Sometimes, people are referring to a hordeolum. And, sometimes, they mean a chalazion. What’s the difference? And, what is a stye anyway? A chalazion is simply a blocked meibomian gland. The meibomian glands are these tiny glands that secrete oil for your tears. The oil is necessary for the proper composition of tears in your eyes and prevents your natural tears from evaporating too quickly. You have about 40-50 meibomian glands along the upper and lower lids, right on the inside aspect of the lid, located next to the lashes. When the meibomian glands are blocked as in the picture below, people get symptoms of dryness, redness, inflammation, foreign body sensation, burning, itching and stinging. You can see the oil squeezing out of the glands while the examiner is compressing the eyelid. I’m going to warn you the next 2 pictures are a little graphic, you might not want to view these if you are eating right now. The easiest way to unblock these oil glands is by performing hot compresses for 5 minutes twice a day. When a gland gets really obstructed and acutely inflamed, then it is a hordeolum. It’s red, tender and slightly painful. Again, it’s not an infection, but think of it almost like a pimple. When the lid is still hot and red appearing like this, surgical excision should not be performed. That’s because you can get scarring if it’s operated upon when the eye is inflamed. Here this little boy who I saw a few months ago with a really large hordeolum on the left upper lid. Treatment for this includes hot compresses for 15 minutes three times a day. Some kids (and adults) dislike doing hot compresses with hot water because of the wetness and the fact that it doesn’t stay hot for the full 15 minutes and must be continuously rewet. So, often I will recommend preparing the hot compress by using a clean athletic sock and filling it with one cup of uncooked rice. You can also add flax seed which takes longer to heat than rice, but is also smoother and stays warmer longer. Don’t pack it in tightly; leave some room for the grains to move around so that it will more easily conform to the area to be treated. Use a thick athletic sock so that the grain will not poke through the sock. Use a rubber band to close the top or if you are using a tube sock, you can knot it. Place it in the microwave for 30-60 seconds. Check the temperature on the back of your hand before placing it on your eye. It should be warm, but not uncomfortably hot. Place it on your closed eye for 15 minutes three times a day. I have about 3 of these socks lying around – I use them whenever I feel the earliest start of a stye forming. If started early enough, hot compresses will be sufficient to resolve the hordeolum by opening up the oil gland. Below is a picture of the head of the hordeolum. Note the beefy red bump on the inner aspect of the lower lid. The goal is for this to drain with the hot compresses. Sometimes, a combination antibiotic/steroid drop (Tobradex, Maxitrol, Nepolydex) will be started at the same time as the hot compresses. The steroid helps decrease the amount of inflammation surrounding the blocked oil gland. The antibiotic helps to combat the bacterial infection of the oil gland. If these treatments are not sufficient, then the hordeoleum can sometimes progress into a chalazion. A chalazion is a granuloma – basically when the body has begun to wall off the infection. Therefore, drops are not as effective in treating chalazion. Often times, I will recommend omega three supplements or flaxseed oil for multiple chalazion. And, there has also been some data that reducing milk in your diet may help decrease the incidence of chalazion as well. If none of these modalities are effective, then the only treatment left is surgery. Basically, the chalazion is incised and drained after injecting local anesthetic along the eyelid for pain. The clamp (pictured below) is used to evert the eyelid to gain better access to the chalazion. For adults, this can be an in an office procedure. For kids, I always do this in the operating room under general anesthesia. Oral antibiotics are not necessary after the procedure, I only prescribe antibiotic ointment post-operatively. Usually sutures are also not necessary, since typically the incision is made on the underside of the skin. If a skin incision needs to be made, then sutures will probably be placed. There you have it – styes and what to do to hopefully prevent them from requiring surgery. I haven’t been blogging lately because we are doing a website overhaul and I didn’t want to keep adding too much content for the company to have to pull over to our new site. For the new website, I wanted to add some additional photographs of our patients and staff. I always feel like it’s much easier for someone to take that jump into having cataract or strabismus surgery if they can actually see pictures of patients who have the same procedures. Through my friend, I found a great high school senior who is in the Photography club. He has been taking pictures of my kids for the past year and I thought it would be great to hire him to do shots for our website. He’s great – extremely reliable, easy to work with and turns the pictures around in 3 days. Our optician, Joel, performing pupil measurements on a patient. This is our newest licensed optician, Joel Babb. He’s a wonderfully experienced optician who is skilled at matching the exact lens type to fit the patient’s lifestyle. He is also extremely personable and filled with aloha spirit. We are really lucky to have found him. He joins our stellar optical team of Rachel Rolison and Kristel Rabago, who have been doing an awesome job helping our patients. We have 3 full time opticians and all are uniquely trained to assist with fitting glasses for kids. Our selection of glasses is also one of the largest for kids. We carry Roxy, Hello Kitty, Adidas, Disney, Flexon, Liberty sports goggles and Miraflex to name a few. We have kids as young as 10 months old in glasses. Our optician, Rachel, marking the pupils to make new glasses for a pediatric patient. Here’s Dr. Bossert teaching a patient how to insert and remove contact lenses. Our contact lens technicians are also specially educated at providing one on one contact lens training sessions for all patients – from pre-teens getting their first pair of contacts to adults who previously thought they could never wear bifocal contacts. With the range of different types of contact lenses now available, we can fit even the most complicated patients. Our staff review correct wearing schedules, proper lens hygiene, insertion and removal techniques, and contact lens care systems with every patient, making it the ideal place for patients new to contact lenses. 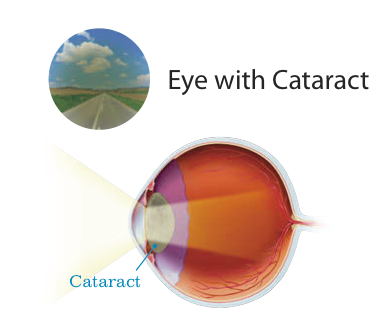 We fit spherical, toric, multifocal, scleral, and rigid gas permeable lenses, to name just a few. We have an awesome surgical counselor, Ronnie who makes herself available to patients 24-7. She answers emails, texts, and phone calls at all hours. She obsesses constantly to make sure everything is complete and finalized for every patient. And, she is able to reassure patients as they navigate the entire surgical process from booking the initial consultation to the post-operative visits. In addition, she is also my assistant in the operating room for strabismus patients. Patients love seeing a familiar face in the operating room. Here she is reviewing an upcoming surgery with a patient. Of course, I do exams on children and most of them are so interested in every aspect of the exam. They love getting examined at the slit lamp. Often times, my pediatric patients can hold more still than my adult patients! Here’s our staff hard at work. We’ve transitioned to a new Ipad based electronic medical record, from Modernizing Medicine, so you’ll often see us on both the tablet and PC. It’s a really new system. I believe I am the first private practice pediatric ophthalmologist to use it, and Dr. Bossert is one of the first optometrists to use it, so we’re helping them work out the kinks. And, finally, Aubrey, our front desk receptionist, getting some make-up done before her close-up. Look for her beautiful smiling face when you come in for your next appointment. Keep checking our website for the new updates! It will definitely take me another month to get used to writing 2013 as I sign charts in the office. Unbelievable how fast 2012 went by. And, a lot was accomplished in 2012 at Honolulu Eye Clinic. Here’s a little recap of our favorite moments/accomplishments of 2012! 1. Our office renovation was begun and completed (though almost wasn’t completed!). Amidst a contractor who declared bankruptcy mid-way through our project and the fact that I was coordinating everything while on maternity leave, somehow our renovation was finished. Click here to see our fist blog about demolition (I was so excited and naive to think things would be completed without a hitch!). And, click here for the post about the progress. If you haven’t been in yet for your annual eye exam, here’s a look at the finished office. 2. Jeff and I made the Best Doctors in Hawaii list and were featured on the cover of Honolulu magazine. Click here to read about the photoshoot. 3. We had 2 glasses trunk shows (Gucci/Dior and Fendi/Valentino). Below are pics from the latest trunk show. 4. We were featured in Midweek twice – in the Business Roundtable section and the Doctor in the House section. 5. Taj (my second son), turned one ! 6. We added some amazing staff members to our HEC ohana (Summer, Amalis, Amber, Michelle, Jocelyn, Lauren, and Sam join verteran HEC staff – Lia and Grace). See how we’ve grown over the past 4 years! 7. I published my first textbook on strabismus surgery. 8. We had 4 cosmetic open house events, including the very successful Mommy Makeover event. Below are pics from our last one in December – Gold Medal Glam – Beauty for Athletes. 9. 421 likes on Facebook. 10. Judged the Miss Chinatown competition this past fall and met some amazing young leaders in our community. Thanks to all of our patients, friends and family for your support throughout the year!